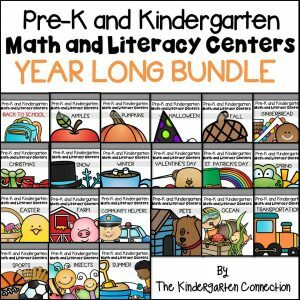 With Valentine’s Day just around the corner, we are getting our February learning activities all prepped and ready. Heart-themed learning is definitely on the agenda this month, and we are excited for our latest Valentine’s Day activity. 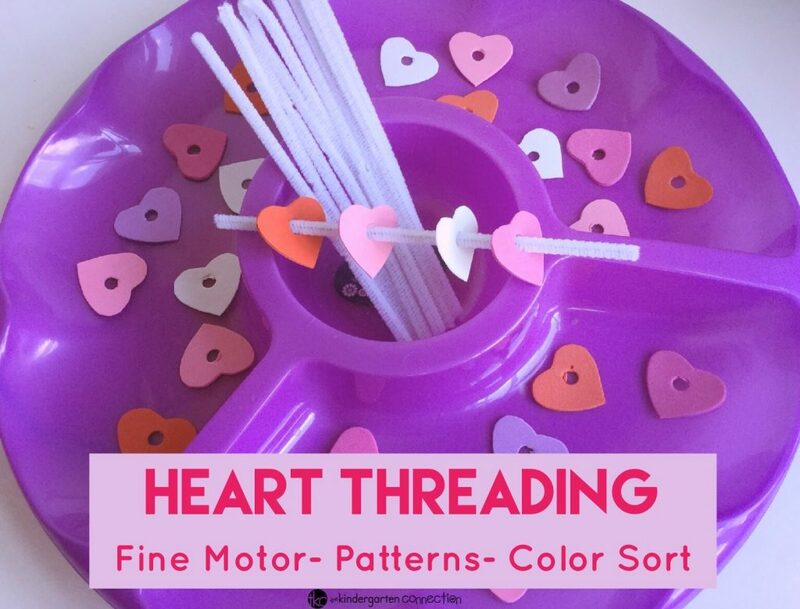 Your kids will have a blast working on fine motor skills, patterns, and color sorting with this fun heart threading fine motor and patterning activity tray! 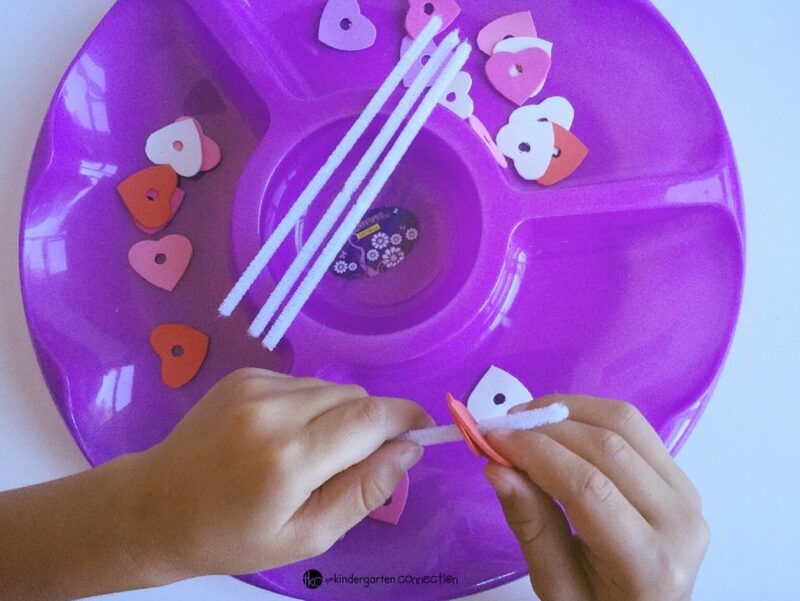 This heart threading and patterning activity tray is easy to set up and is perfect for independent learning as a Valentine’s Center Activity. 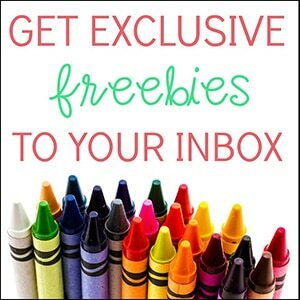 You could even add it to your class Valentine’s Day party plans as a station. 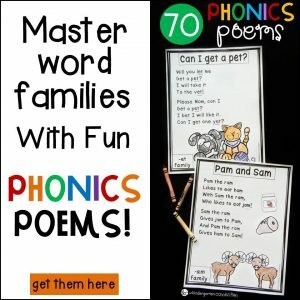 If you twist the pipe cleaners up after they make their patterns, kids could wear them as bracelets or take them home. First, cut the hearts out of the craft foam if you do not have precut hearts. You can vary in size if you wish. You can cut by hand, or use a heart punch (just make sure it will go through the foam easily). Then, make holes in each heart with a regular hole punch for the pipe cleaner to fit through. 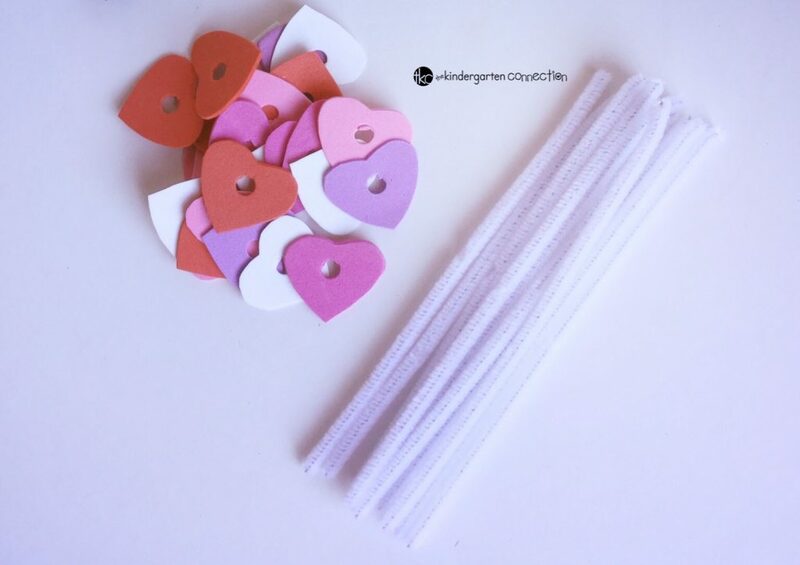 Add the heart and pipecleaners to a tray as an invitation to play, or you could give instructions like: thread together all the red hearts, make a pattern with red and pink hearts, count the hearts, how many hearts will fit onto a pipecleaner? etc. You can even make little cards to show a sequence which the child must copy to work on visual perception skills. 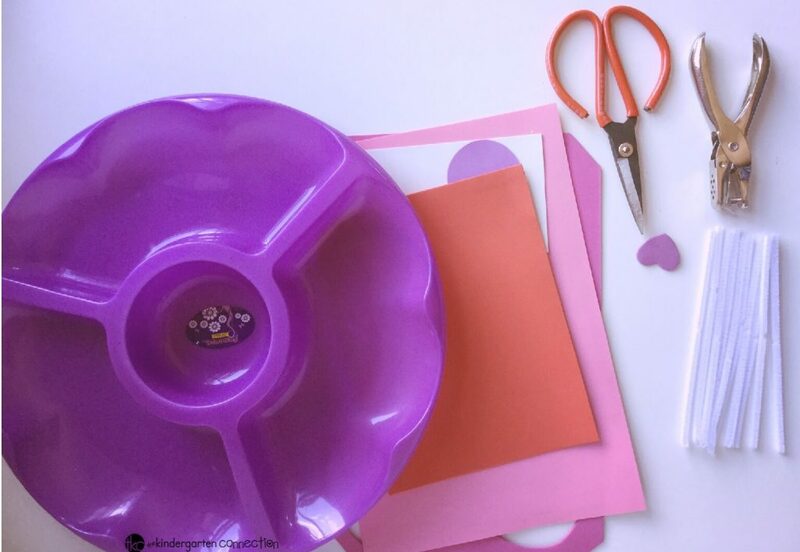 A pretty, heart-themed tray activity that has endless learning opportunity and will be enjoyed by preschoolers or kindergarteners alike! 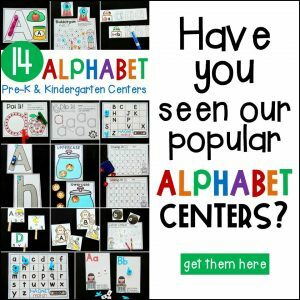 What is one of your favorite activities to add to your Valentine’s Day learning plans? 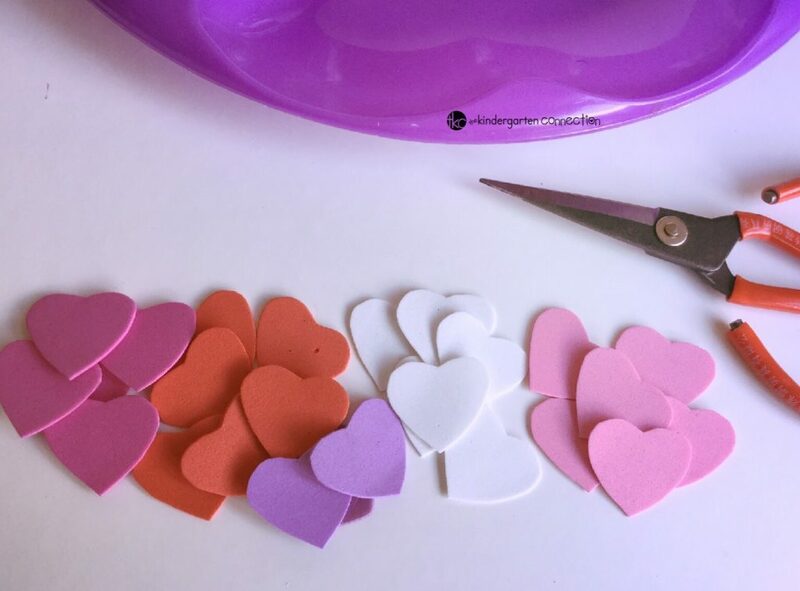 You can check out 50+ Valentine’s Day Crafts and Activities HERE!